Homesteader Profile: Kristy is a coordinator for Reed College’s Science Outreach Program and author of Nature, Nurture, Grow. She and her husband live in an ecovillage made up of 2 acres located in Oregon. Kristy enjoys approximately 300 square feet of personal garden space as well as 5000 square feet of communal space (gardening zone 8). My husband and I are a young homesteading couple. I work as a coordinator for Reed College’s Science Outreach Program developing and implementing science lessons taught by college students to local elementary students. My husband, Nathan, works in habitat restoration for the City of Portland Parks and Rec. On weekends and after work we fit in the fun homesteading activities. I started gardening with my dad before I can even remember. Over the years, my love of gardening has grown, influenced by dear friends who live on a small farm on an off-the-grid homestead. After Nathan and I married, I began to introduce him to gardening. Starting with a small container garden at our first apartment, our ambitions soon grew to dreams of someday owning our own multi-acre, multi-generational homestead. 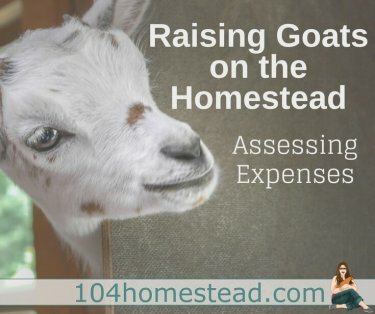 We currently live in an urban eco-village, which allows us to pursue many of our homesteading activities while still allowing us to work full time, and to save money for our dream homestead. The eco-village we live on is about 2 acres, which is shared between approximately sixty residents. The property consists of a thirty-two unit apartment building, a six bedroom passive house, individual garden plots (similar to a community garden set-up) as well as shared orchards and gardens for space-intensive crops (such as squash and potatoes). There is also edible landscaping, including grapes and raspberries around the entire property. In just the last five years our lives have changed drastically. In addition to growing our own food, we cook whole food meals every night, and we make our own yogurt, kimchi, bread, and more on a regular basis. We have also started to make almost all of our cleaning and personal care products such as deodorants, face washes and soaps. Having both grown-up in the Black Hills of South Dakota, we miss the space of the rural country and look forward to returning to the country one day soon. But in the meantime we try to have fun and enjoy the journey! I wish I could find some like minded people closer to where I am… we are moving toward purchasing property… we have about 2 years before we can seriously start looking. It would be nice to be on this adventure with others… we could get a larger property! The EcoVillage sounds interesting. We have a group out here (Arizona) who is trying to set up a similar situation. Jessica, thanks for featuring this! Nice to ‘meet’ you, Kristy…I will definitely be keeping up with you. What amazing work you are doing! We live in the city as well … have never lived in the country … not yet anyway! I knew next to nothing when I moved out on my own and really started from the ground up in all areas (except I did know how to take a shower!! but not much more than that!). It’s been so fun learning all these new skills. For the last 4 1/2 years we have lived in a place where we have our yard, our church yard, and the church parking lot right across the street from the house and the church. We have chickens, rabbits and worms in our backyard, peach and apple trees in our church yard, and several raised beds and compost bins in our church parking lot. We have bees at an elderly woman’s house that we help out and have had a garden at her house too. So … we make due with what we have. I’ve actually been working on a blog post with this thought … not sure when I’ll have it done but it’s been in the works for a while now!! I love how people have made it work! It’s funny that I use oo think that my property (1/4 acre) was too small for anything. Now I hear all these stories of people doing much more with much less. It’s so inspiring! Thanks so much for the opportunity to share our story Jess!